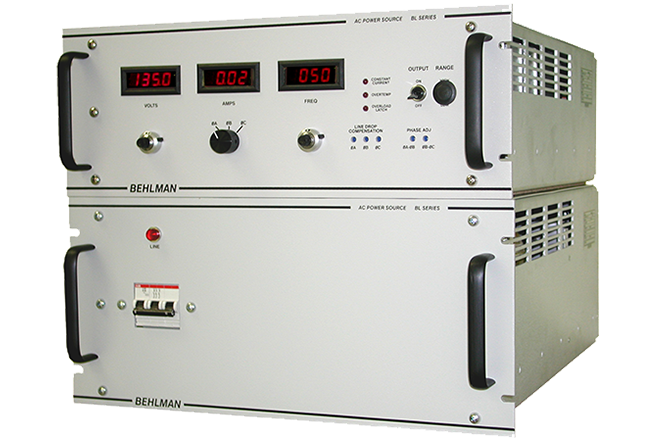 Behlman’s AFC-7000-1 & -2 and AFC-7003, frequency converter are designed to convert three-phase aircraft power to regulated single-phase (115 or 230 VAC) or three-phase (115/200 VAC) at 50 Hz, 60 Hz or 400 Hz. 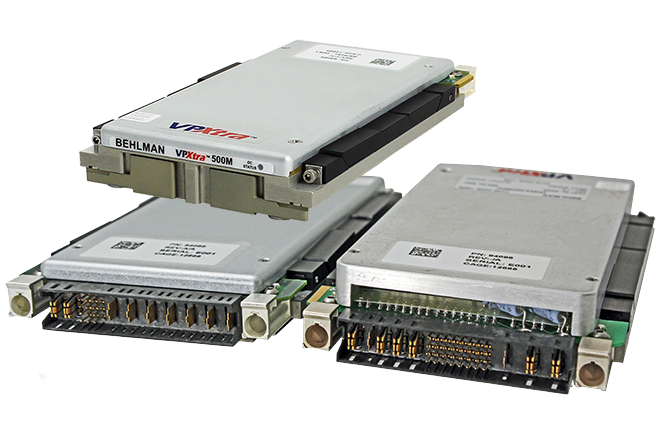 They are ruggedly built to support aircraft takeoffs and landings and designed to meet the input power requirements of MIL-STD-704 and RTCA-DO-160. 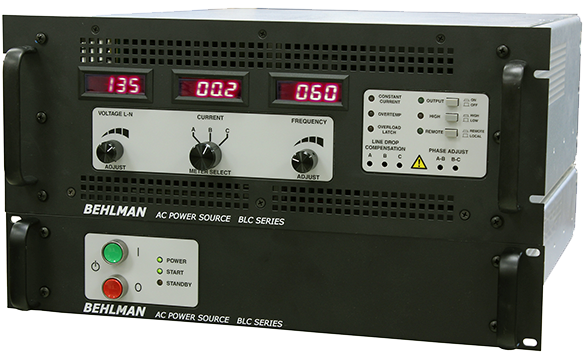 There’s also a unique overload protection system that folds back voltage to maintain rated output current without waveform distortion. 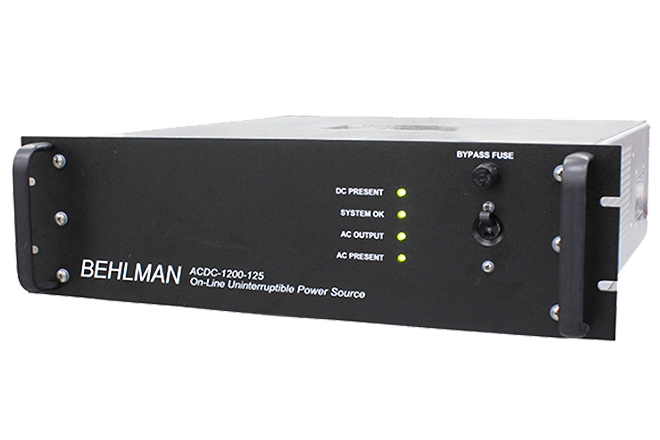 The AFC-7000-1 & -2 and AFC-7003 are supplied with RS-232 remote control and 28 VDC control of Output On/Off. 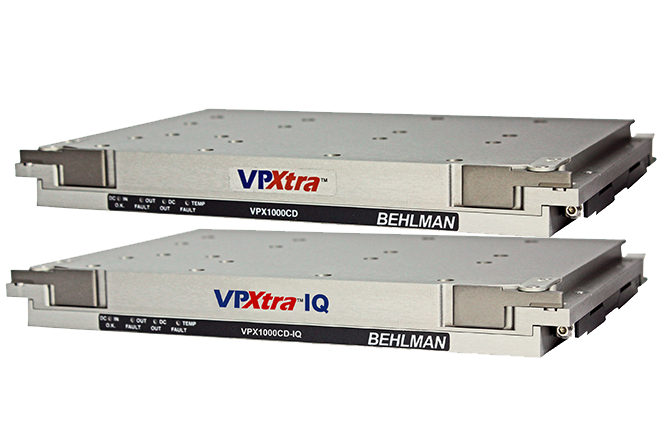 These features are available options on the other units. 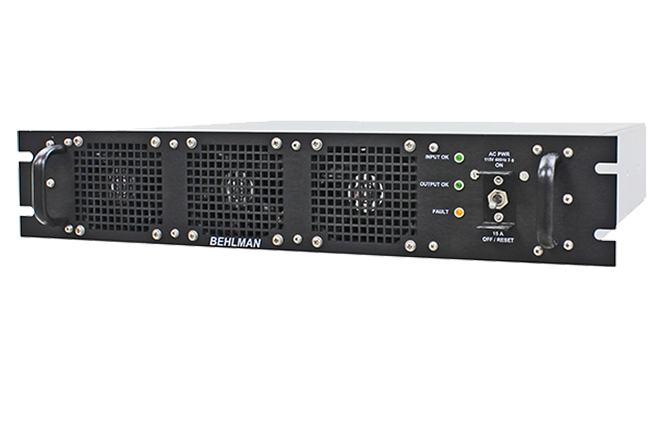 Small size, rugged construction, quiet operation and high efficiency make the Behlman Airborne Frequency Converters ideal for use onboard aircraft. 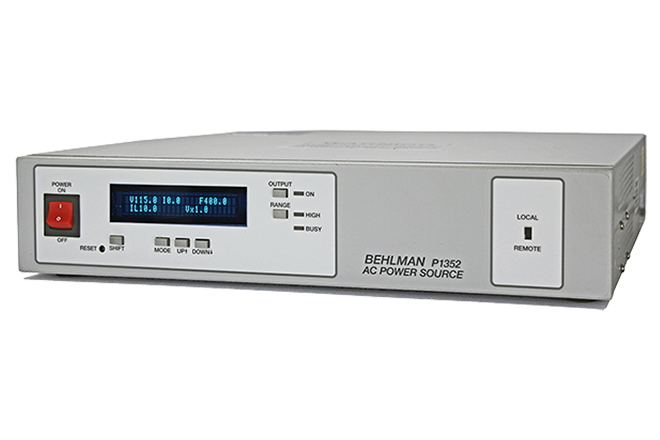 Behlman’s AFC-7000 is a ruggedly built, modified COTS frequency converter designed to convert three-phase aircraft power to regulated single-phase (115 or 230 VAC) 60 Hz ground power. 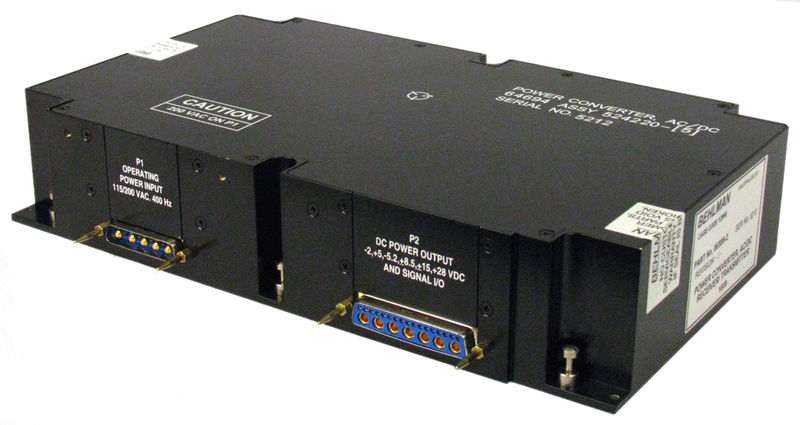 The AFC-7000 is ruggedly built to support aircraft takeoffs and landings and designed to meet the input power requirements of MIL-STD-704 and RTCA-DO-160. 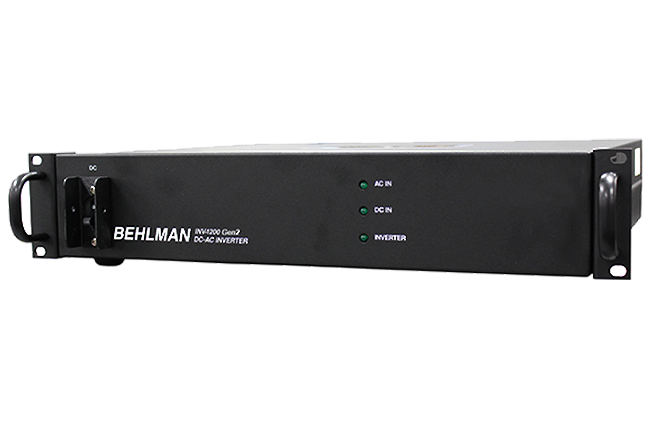 In the AFC-7000 you’ll find the quality features you expect from Behlman. 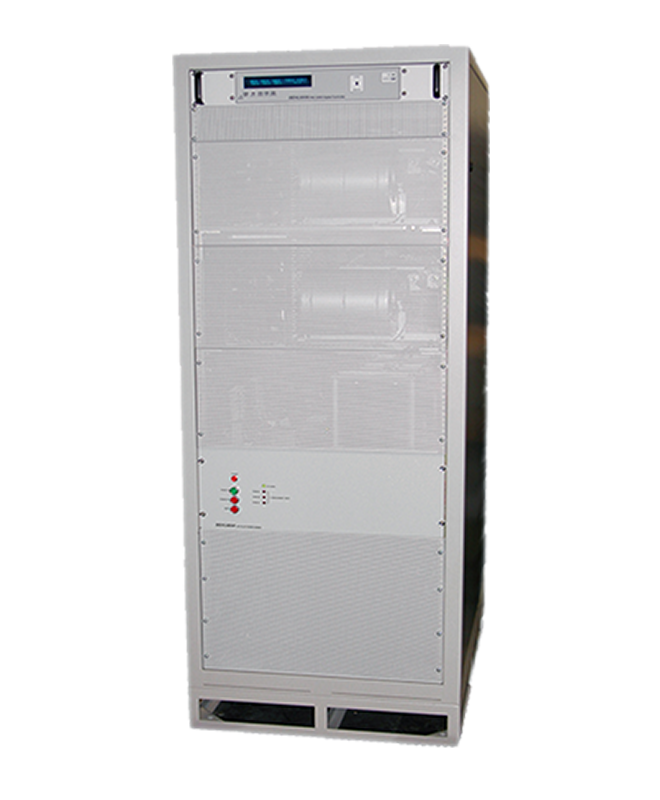 Low output THD, high efficiency, plus excellent line and load regulation. 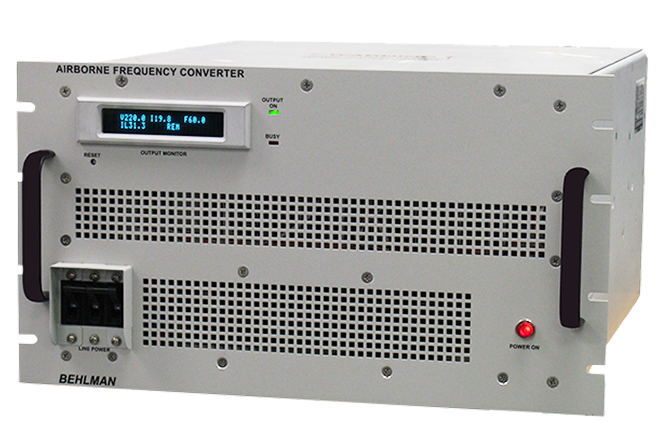 There’s also a unique overload protection system that folds back voltage to maintain rated current without output waveform distortion. 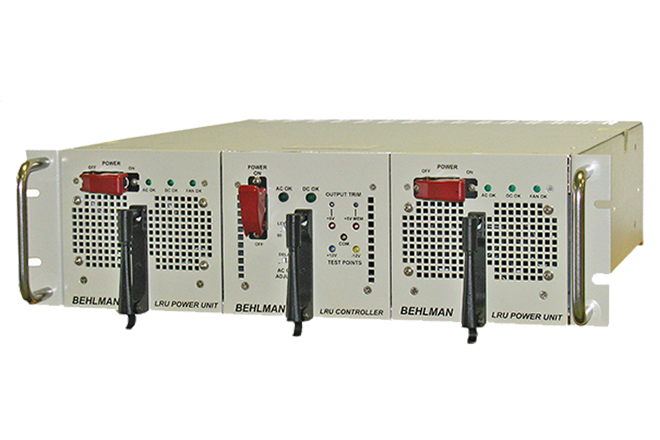 Units are supplied with RS-232 remote control and 28 VDC control of Output On/Off. 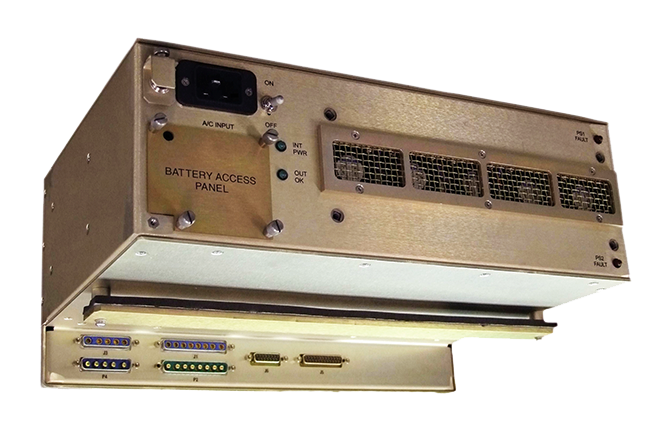 In addition the unit has provisions for slide mounting. 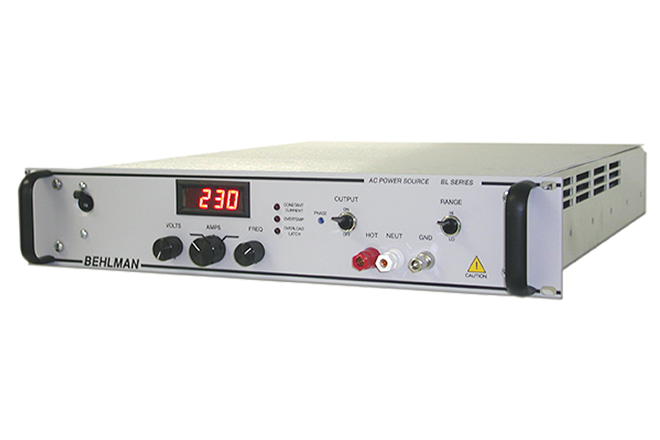 Small size, rugged construction, quiet operation and high efficiency make the AFC-7000 ideal for use on aircraft to convert aircraft power to ground power. 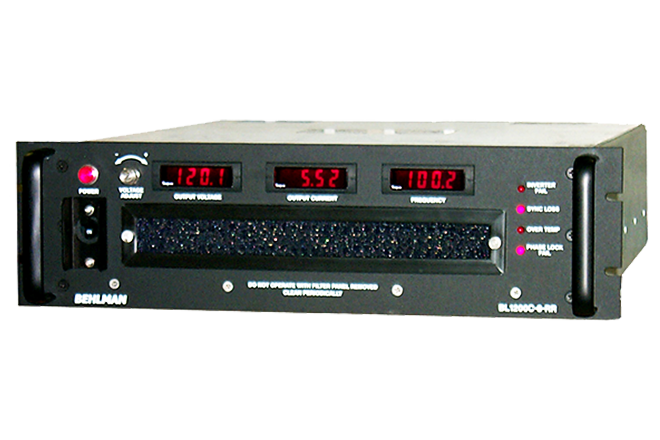 Control/Display: Microprocessor controller with 40 characters X 2 lines Vacuum Fluorescent display. 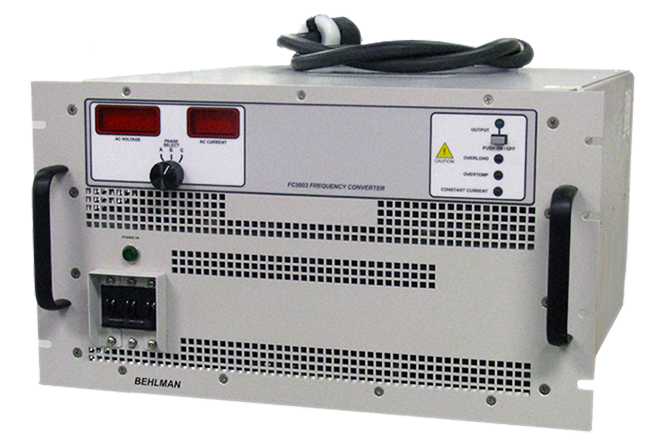 Output On/Off: ON- with Safety Interlock connector supplied with unit. ON/OFF- with customer supplied 28VDC. 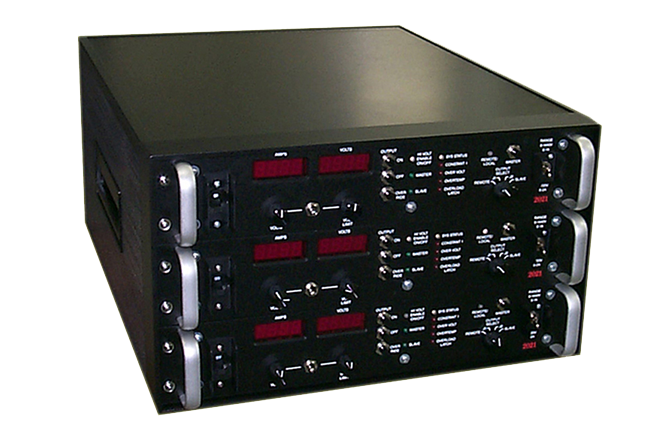 Shock: Designed to meet, 18 impacts of 15G’s for the duration of 11+/-1 millisecond. 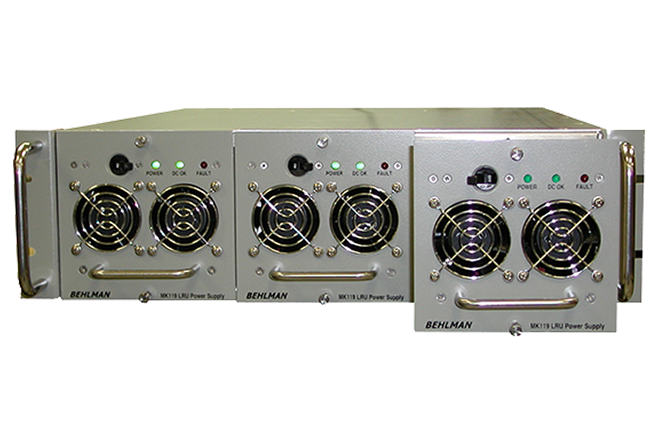 from 1KHz to 2KHz beginning at 0.04g²/Hz and drop at a linear –6db/octave rate. and operate normally when returned to 10,000 feet or less. 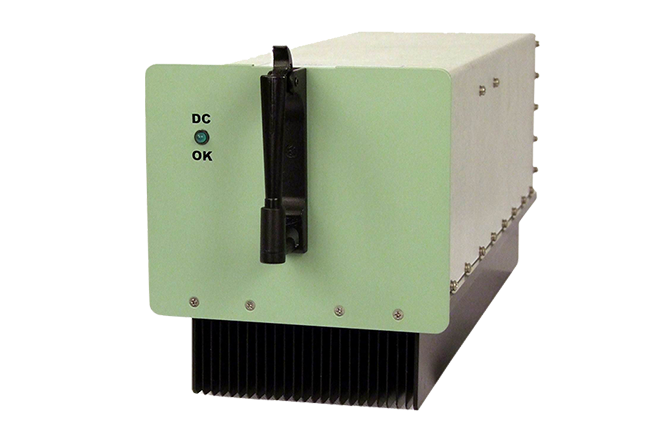 Electromagnetic Interference: Designed to meet or exceed MIL-STD-461E requirements, intended for installation on Aircraft. 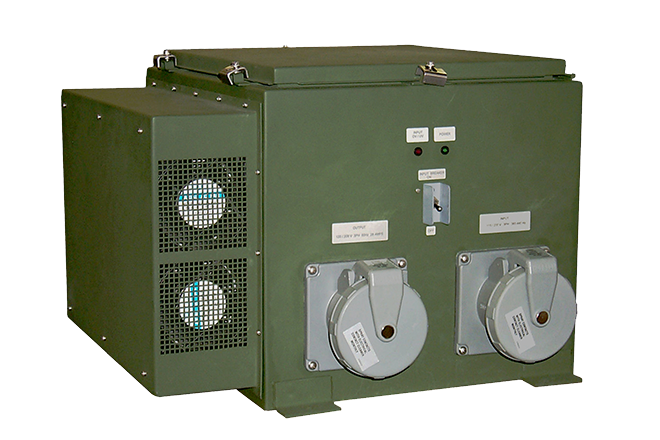 To meet RE102 requirement, shielded cable shall be used for Input and Output Cabling.